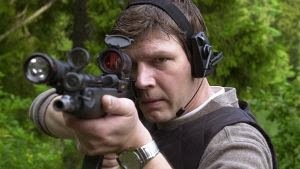 Executive Protection is the second movie in the serie about renegade cop Johan Falk and it is also the first in the series broadening the scope of the story by integrating the threat of foreign organized crime trying to get a foothold in Sweden. Who else is better to deal with the threat than lone wolf Falk? Johan Falk has been suspended from the police force after the events from Zero Tolerance and he is being contacted by an old friend of his; Sven Persson (Samuel Fröler) who is being extorted by a foreign mafia. The downsized Swedish police force is stretched to thin to actually help out so Falk gets them in touch with a private security firm, I guess the ronin or the gunfighters of Seven Samurai or The Magnificent Seven, since this movie seem to owe a big part of the story to Kurosawa and/or Sturges movie. These are basically hired guns who is hired to protect them from the outlaws trying to squeeze them dry, much like the roaming villains of aforementioned flicks.They then proceed to secure Persson´s house with surveillance equipment and reinforced windows and doors to try to fend off the threat. Falk is ready to take on villainous foreign mobsters. there is basically not one dull moment and it is tense throughout. 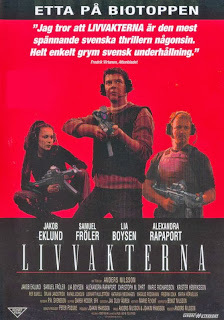 Compared to most swedish thrillers this is perhaps the most american, but the settings and the themes or motifs are so Swedish, like the first movie that it makes it kinda unique. There are some very clever use of sounddesign at the climax. I am not gonna spoil anything, but this is one helluva actionpicture. 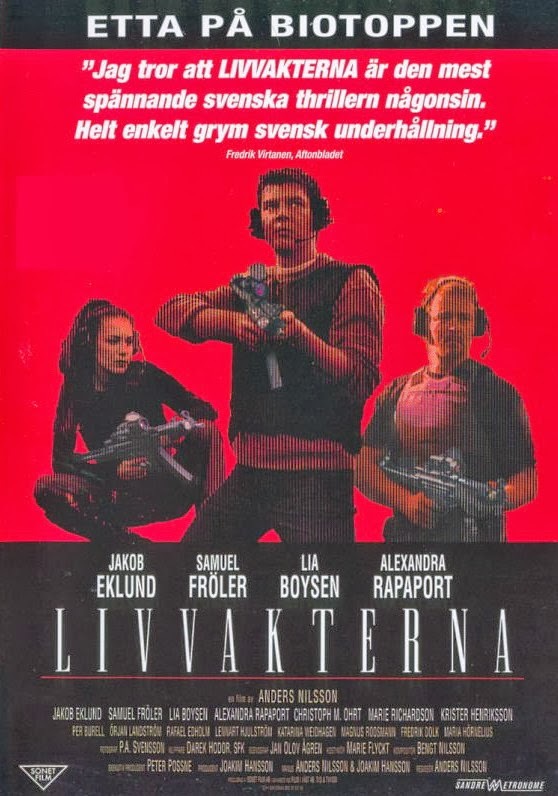 Where american movies excell at the sheer spectacle of the action, with explosions, where Sweden cannot compete in terms of resources, Nilsson uses the plot,story and characters to much more extent than American actionfilmmakers and in that sense the action becomes much more involving. Executive Protection is a great example of how an international cinema with little money can create action that may not be spectacular in itself, but assimilated into the story. There are some poor english-speaking dialogue, but that hopefully does not distract from this otherwise fine slice of genre film for anyone who appreciate actionfilms. Also, there are some generic plot devices in use here, but I find them to be used to great suspenseful advantage.